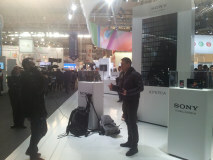 Sony had an impressive video wall at its MWC booth, which was built entirely out of Sony Xperia ZL smartphones (196 of them). And it’s a candidate for a world record – it’s not official yet, but the current record is held by a setup with only 72 phones. Guinness is expected to confirm the record. The video wall was created by Visionmill and one of the guys who worked on it, Matt Mapleston, shared some details on the wall on his blog. Apparently the wall took quite a bit of work. Matt was first called about the project in mid-November last year and the installation was complete in the MWC halls on February 23, just a couple of days before the congress started. It ran for six days, 24 hours a day. All 196 Xperia ZL phones were synchronized with a master clock and managed an accuracy of about half a frame. 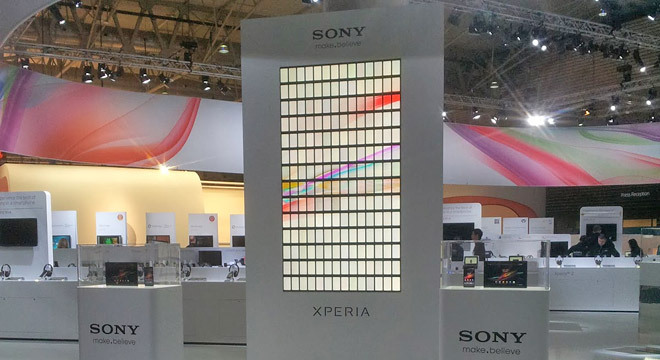 Wall has some pretty impressive specs – it’s a 14 x 14 grid of Xperia ZLs, making for a total resolution of the display 26,880 x 15,120 or 406MP. The active display area is 70” big. You can check out Matt’s blog for some more details on the project.